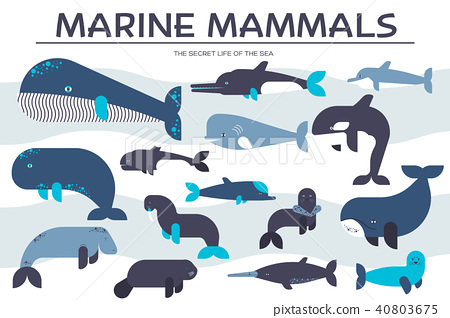 Sea mammals animal collection icons set. Vector fish illustration in ocean life background. Marine exotic creature flat design.